Referee: Javier Estrada (ESP). He has been active in international cups since 2010, mainly as a fourth official. This will be his fifth match as a referee. He has an average of 5.25 yellow cards per game and he has not used a red card yet. *Their first match (Day 03): Tottenham got an emphatic win (5-1) having a lot of their players on a good night. 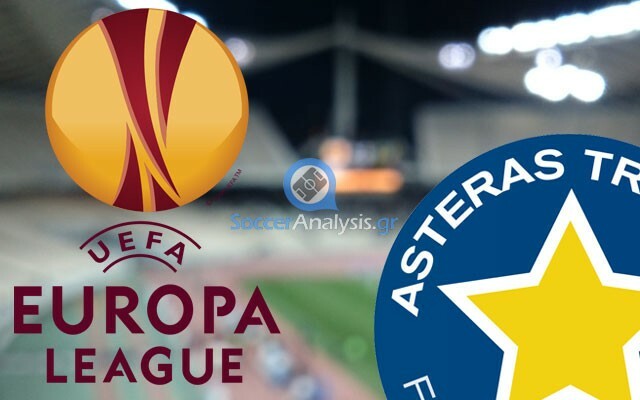 Asteras came close to take the lead at 6′ and they received the first goal at 13′. They had five good chances to score an equalizer but all of them were missed. Everything was practically over when the home team scored the second goal 29′. The advantage of the two goals and the need of Asteras to get back in the match gave Tottenham the chances they needed to expand the score (66′, 75′, 81′). The players of the Greek club scored the last goal of the match at 89′ with their opponent playing with a man down since 87′. Asteras Tripolis comes from a home draw against Olympiacos (0-0) which was a very good result if we consider two things. The first is they were playing with a man down against the Greek Champions since 42’ after the second yellow at Mazza. The second is they had to face the hostile referee and his assistants as well! In fact, Mazza received the second yellow because he made the mistake to stumble while Asteras was interrupted each time they were about to get close to Olympiacos’ goalkeeper (6 wrong off-sides). The club’s officials published a press release on Monday about the strange behavior of the referee and the assistants who will probably be banned (at least for a while). The goal for Verghetis and his players will be a new good performance that will allow them to stay undefeated in Europe (all time 4W-3D-0L, their 4 wins are all in this season). There are important problems reported. Tottenham comes from an away win against Aston Villa (1-2) which brought them at the eighth place of Premier League (4W-2D-4L, goals 13-13). The players of Mauricio Pochettino conceded an early goal (16’ Weimann) and spent the rest of the match looking for the equalizer. The red card at Aston Villa at 65’ (Benteke) gave them the advantage of an extra man in the field and allowed them to get the win with two goals (84’ Chandi, 90’ Kane). The top two places of Group C are still open to three teams (Asteras, Tottenham and Besiktas) so the team cannot afford extreme changes in the lineup if they want to qualify to the next round. There are four problems reported. The players of Asteras have proved they deserve our respect. The humiliating defeat in the first match will motivate them and they have clearly showed they want to continue their journey in the Europa League. The win of Asteras @ 4.75 is a value bet for a team that has 4/4 home wins, all of them with a margin of two goals (RoPS 4-2, Maccabi Tel Aviv 2-0, Mainz 3-1, Partizan 2-0).